The General Data Protection Regulation (GDPR) replaces the Data Protection Act 1998 on 25th May 2018 and in order to fall in line with the regulations we are getting in touch with you to give you the option to stay in touch, or to opt out – though we’d really like to stay in touch with you. 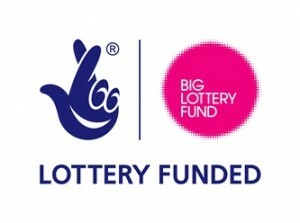 Allenton Big Local are posting this message because at some time in our lives our paths have crossed. You may have made an enquiry through this website or one of our social media platforms, attended one of our community events, completed a questionnaire, been a partnership board member, may have exchanged business cards or perhaps been introduced through mutual connections or in a formal meeting. As a result we’ve added you to our contact list. We’d really like to keep in touch with you and ensure we hold only the necessary and accurate information that we need; and we are committed to use this information properly. The GDPR is a big change that affects all businesses and organisations alike and as it comes into force this month we’d like to tell you that we’d very much like to continue to contact you with updates about Allenton Big Local events, activities and other news that we think you’ll be interested in. It will only take a few seconds to opt in and if we don’t hear from you, we’ll understand that you no longer wish to be contacted. All you need to do is say YES in the comments section. Allenton Big Local have some fantastic events coming up that we’d love to share with you and if you choose to say YES and want stay in touch we’ll continue to send you updates, invites and news. You can always change your preferences and choose to opt out at a later time if you want to. If you want us to keep in touch please comment on the contact page saying YES. If you decide you want to opt out, no further action is required. If you have any other enquiries regarding Allenton Big Local please feel free to contact us using the contact form below. This will send an email to us and we’ll get right back to you. This is the best way to keep up-to-date.